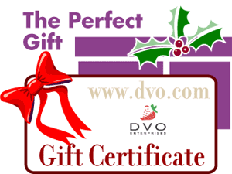 Since DVO.com has such a wide variety of unique, high-quality products at affordable prices, sometimes it's difficult to choose the best gift. 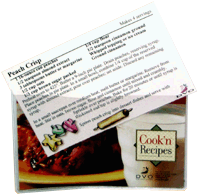 Add pizzazz to your recipes by printing them on printer-ready decorative 3x5 or 4x6 recipe cards. Upgrading from BigOven is easy with this Plugin. Tell your BigOven friends that they can finally upgrade to Cook'n and start capturing internet recipes with One-Click! Easy way to keep all your recipes clean and organized. 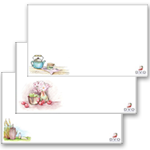 20 sheets per order. Most organizational books tell you how to find a place for everything, then to put everything in its place. 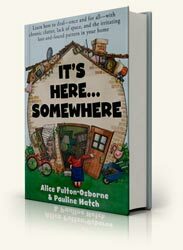 Alice Osborne demonstrates one vital step for lasting success: she shows you how to find more places by streamlining first, THEN organizing. Are you tired of those organizational binges where you shuffle stuff from one room to another and just end up with a neater mess? 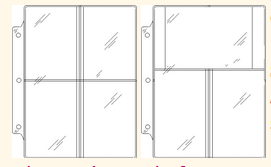 Let this book show you the secrets of home organization. Learn how to put your home in order and keep it that way! Appetizers & Beverages; Breads & Breakfasts; Soups & Stews; Salads & Sides; Beef & Pork; Poultry & Fish; Other Main Dishes; Desserts; Preserves & Canning; Other.